Check out the interviews held with talented writers and others who contribute to promoting the Belle Epoque! Second only to her father, Theodore Roosevelt, of this time period, no one represented Washington D.C. and the White House more than Alice. It was her antics that caused the exasperated TR to opine “I can either run the country or I can attend to Alice, but I cannot possibly do both,” and it was her high-spirits and unconventionality that won her the hearts of America and garnered the nickname “Princess Alice.” Her trip to Asia created headlines, particularly when she jumped into a pool fully-clothed, and was given so many costly items, the press dubbed the government sponsored trip “Alice in Plunder Land.” She inspired songs and colors, and millions of American girls, all on the cusp of the “new woman” movement, emulated everything she said and did. You can imagine my fascination with Alice when I first stumbled upon her a few years ago, and luckily, I’ve been able to conduct an interview with Dr. Stacy Cordery, author of Alice: Alice Roosevelt Longworth, from White House Princess to Washington Power Broker (2007), and professor of History at Monmouth College, in Monmouth, Illinois. Alice has been the subject of two other well-received biographies and a conversational autobiography. What inspired you to take up the subject once more? 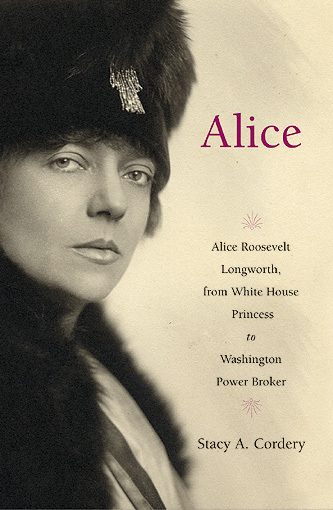 Why do you think the story of Alice Roosevelt Longworth is so timeless (a children’s book was even released last year!)? The book grew out of a graduate class I took at the University of Texas where I earned my Ph.D. in History. 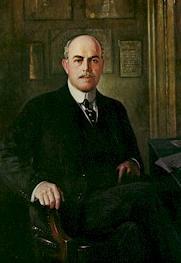 The course was about Theodore Roosevelt and his era and was taught by the Dr. Lewis L. Gould. He wisely suggested Alice as a topic. The book really got going when I was given full access to thousands and thousands of documents belonging to Alice Longworth’s granddaughter. No historian knew these documents existed, and they included a wealth of correspondence from politicians, artists, writers, foreign dignitaries, Supreme Court justices–not to mention family and other friends. There were drafts of her newspaper column and speeches, doodlings, social calendars, the book listing her wedding presents, and lots more–it was a treasure trove. Alice Roosevelt Longworth’s story is timeless in some archetypal ways: she overcame the tragedy of her mother dying as she was born. She felt like the outsider in her family, but didn’t let that interfere with her developing her own style and interests. And of course, Alice Longworth was glamorous and famous. When she was First Daughter crowds of hundreds and thousands used to appear to see her. People named babies after her, named a color for her, wrote music for her, asked for her autograph. She could hardly shop for a trousseau because of the spectators. Her fame never abated throughout her 96 years. She held sway in an earlier Washington where politics and socializing were intimately connected–and her drawing room was ground zero for that era’s networking. She was a model of the independent woman, doing, for the most part, exactly what she wanted, when she wanted, with whom she wanted. When I give talk about her, someone always comes up afterward to tell me how Alice Roosevelt Longworth had been an important “bad-girl” model! There’s that certainly, but in the book, I wanted to explain why Alice led a life so gloriously unconcerned with other people’s judgments about her. Alice’s relationship with her father was conflicting. On one hand, he ignored the topic of her mother and closed the door to a true emotional relationship, yet on the other, he turned to her for advice and she was his biggest advocate. Did your research help you understand Alice–and in the process, T.R.–or was she even more of an enigma? Well, every biographer treds with trepidation on that question of “understanding” one’s subject because the historical record is incomplete. I would like to think that between her voluminous writings (her diaries and letters), the letters from family and friends about her, her own memoir, the interviews I conducted, and the contemporary sources, I had a pretty good understanding of her. I hope the book provides a nuanced sense of the relationship between TR and Alice. Sometimes, though, the sources aren’t there. When he died, she did not comment–in public or in private. I did not have the evidence to assess the depth of her grief. I could read only the silence–and it was a silence remarkably like TR’s silence at the death of his first wife, Alice’s mother. Yet I remain convinced that TR is the key to understanding Alice. Their relationship was conflicted, and for many complicated reasons, not the least of which is that she was so very much like him, especially when she was young. Considering the era in which she was born and reared, do you find Alice’s unconventionality natural and ahead of her time, or did she behave outwardly outrageous for attention, but remained inwardly conventional? I find Alice’s unconventionality natural for her and ahead of her time. In some ways she did behave outrageously for attention’s sake. She almost never had the undivided attention of her father or her step-mother, and she acted out in ways that forced them to notice her. Luckily for her, Alice Roosevelt came of age both in the public crucible of the White House and at a time when the country was fascinated with the glowing potential for change in the new century. TR assumed the presidency in 1901 and Alice personified all the breathtaking possibilities for young women at the dawn of the twentieth century–or more precisely, she created possibilities for women, like driving a car, smoking in public, betting on the horses, playing poker. These were trespasses on socially defined men’s territory. Once she was no longer First Daughter, Alice Roosevelt Longworth continued to shatter conventions: she wore slacks in public, she stopped the convention of calling, she eschewed traditional women’s war work, she had an extramarital affair and gave birth to a baby at age 41–the result of that affair. Though Alice’s memory and prestige has faded considerably in the general public, when she is mentioned, people either love her or detest her. What were your initial impressions of Alice? What do you think of Alice after having written her biography? 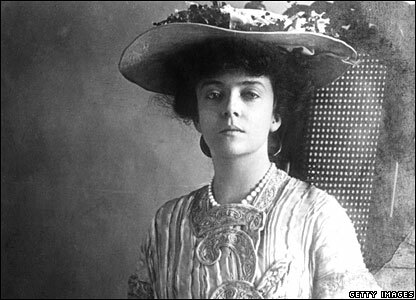 Initially I was fascinated with Alice Roosevelt as a celebrity First Daughter. Then I wrestled for years with the body of evidence left by people who, as you suggest, detested her. At that point, someone who knew her well, Kristie Miller, asked me to think about how it could be simultaneously true that so many people hated her, yet everyone from tourists to presidents wanted to have tea with her. I learned from others who knew her, like Robert Hellman and Stephen Benn and James K. Galbraith that she never made fun of the vulnerable or those whom she thought could not handle it. She would never, as she put it “hit a blind lamb on the nose.” And everyone attested to her charm. Mrs. Longworth was brilliant, witty, and politically engaged to a degree that we have forgotten. She could be malicious, but I think her malice was directed chiefly at Democrats (particularly her cousins, Franklin and Eleanor Roosevelt) during the New Deal years when she felt that everything was on the line: the economy had tanked, fascism was on the rise. The world was a scary place and at that stage of her life she was bitterly partisan. Why do you think Alice remained content to take swipes behind the scenes, but to never take a stand politically? If Nick ran for President, would she have been a good First Lady? Alice remained beind the scenes only in that she did not run for elected office, and her political stands were well-known. She worked hard–and successfully–to defeat the League of Nations. She was a board member of America First. She wrote a nationally syndicated newspaper column for a short while, and she did campaign occasionally. She was told to sit out the 1912 election for fear of helping her husband and hurting her father, or vice versa, as they were in two different political parties that year. She was asked to take Nick’s House seat after he died, but she had a horror, as she said, of women “using their husband’s coffins as springboards” to office. Despite the fact that she was acknowledged the smartest of TR’s children, and the important fact that she knew just about everybody in Washington, Alice Longworth never ran for political office because she was shy. She was also not extremely wealthy. She did not control her money, but the trust fund from her mother was doled out to her. As she got older, her politics became less partisan. She referred to herself in later years not as a Republican, but as a Bull Moose. She crossed party lines to vote for Lydon Johnson and she was great friends with the Kennedys, whom she admired. Would she have been a good First Lady? She would have been an extremely unconventional First Lady for her time. She–and this is what-if history, now–would have cared passionately about the legislation and the politics, like Eleanor Roosevelt, Rosalynn Carter, and Hillary Clinton. She would have been much less interested in the formal entertainments. That would not have gone down particularly well in the 1920s, when a woman’s role was much more circumscribed. Nicknamed “Princess Alice” during her stint as a First Daughter, was the political/diplomatic climate easier or more difficult than today for a president’s child to be treated rather in the manner of royalty? 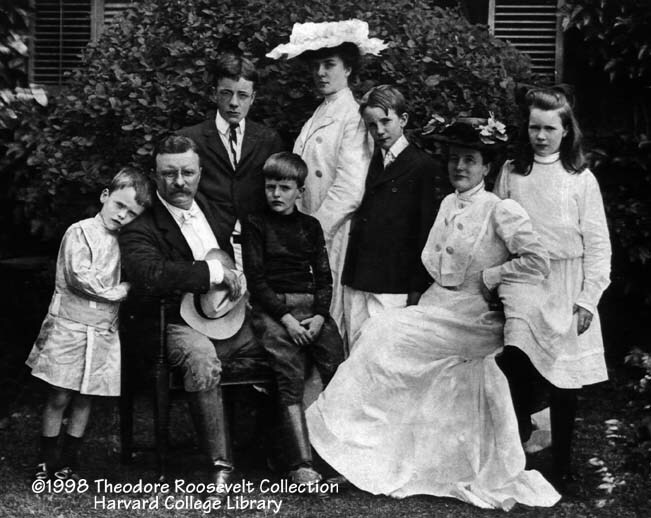 Theodore Roosevelt was a Progressive Republican who loathed the idea of his family turning into some sort of antithesis of democracy. He kept putting the brakes on Alice as First Daughter being treated as a princess. She was the first First Daughter to serve as a goodwill ambassador for her father when she toured Asia in 1905. There, it was very difficult to keep the royal treatment at bay, especially because TR was half a world away in Washington. You would have to ask Chelsea Clinton or the Bush daughters, but my sense is that everything is more difficult now because we have 24/7 news coverage, cell phones that take photographs and can be flashed around the world in seconds, and citizens with an easier time communicating their concerns to the White House. While Americans knew much of what happened in Alice Roosevelt’s life while she was First Daughter, they did not know everything–and so she could get away with some royal treatment. Also, at the turn of the century, the United States was in a much different place in relationship to the rest of the world. Americans then took great pride in the fact that their First Daughter was being treated as an equal by Japanese princesses and the Empress Dowager of China. For the most part, Americans reveled in the antics of the irrepressible First Daughter and found in her a mirror of their own aspirations. Young women copied her dress, her actions. Young men wrote for her photograph. Alice’s relationships with her family were filled with conflict; however, based on the letters between she and William Borah, Alice seemed somewhat free of emotional turmoil. Do you subscribe to the idea that they were a perfect match? Would Alice have been happier and fulfilled had she been free to wed Bill Borah? Bill Borah was the Senate’s best orator, the powerful chair of the Senate Foreign Relations Committee, the handsome “Lion of Idaho,” a self-made man full of the romance of the West. He could quote reams of poetry and political philosophy just like Alice could. While I wrote in the book–and I think it’s true that–that Senator Borah was the love of Alice’s life, I don’t actually think that they were a perfect match. I think she was a frustrated Lady MacBeth to Borah. 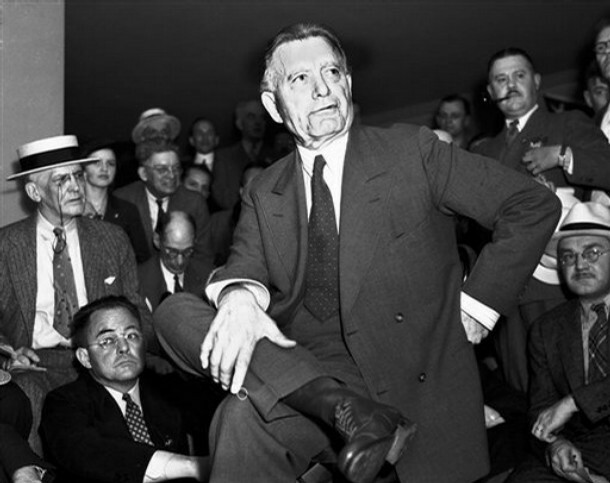 It was notoriously difficult to get Borah to see a bill through to its passage, for example, and the same seemed to be true of the attempts he made at securing a presidential nomination from the Republican Party. He didn’t commit to much, long-term. I think they had many important things in common, and they probably were really in love, but I suspect, in my biographer’s heart, that the relationship would not have lasted because he was not as ambitious for himself as she was for him, nor was he as politically astute as she was. Finally, did you ever find it ironic that Alice outlived her entire immediate family? Ironic, no. A bit sad, perhaps. But it is extremely important to realize that at the end of her life, Alice had good and loyal friends and more importantly, she had her granddaughter, Joanna Sturm. The relationship between grandmother and granddaughter sustained them both, from everything I’ve been told, and provided great happiness to them both. The 1970s saw a boom in nostalgia for the Edwardian era. The period influenced fashions and society, books about the period abounded, and a bevy of mini-series’ filled the television. After that decade, interest in the period appeared to fade–until now. In a slow, but steady trickle, non-fiction about the Edwardian era has began to return to the bookshelves. 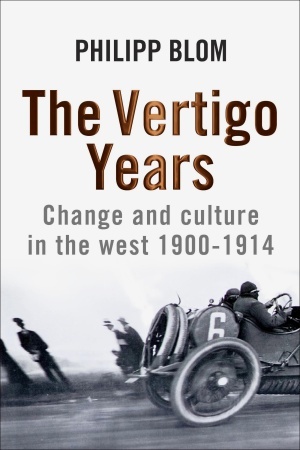 Joining Roy Hattersley’s The Edwardians (2005) and Juliet Nicolson’s The Perfect Summer: England 1911, Just Before the Storm (2007), we can now welcome the latest book on the block, The Vertigo Years: Europe, 1900–1914 by Philipp Blom. I was excited the moment I became aware of TVY’s imminent release and luckily, was able to snag an interview with Mr. Blom. Europe, 1900–1914: a world adrift, a pulsating era of creativity and contradictions. The major topics of the day: terrorism, globalization, immigration, consumerism, the collapse of moral values, and the rivalry of superpowers. The twentieth century was not born in the trenches of the Somme or Passchendaele—but rather in the fifteen vertiginous years preceding World War I. In this short span of time, a new world order was emerging in ultimately tragic contradiction to the old. These were the years in which the political and personal repercussions of the Industrial Revolution were felt worldwide: Cities grew like never before as people fled the countryside and their traditional identities; science created new possibilities as well as nightmares; education changed the outlook of millions of people; mass-produced items transformed daily life; industrial laborers demanded a share of political power; and women sought to change their place in society—as well as the very fabric of sexual relations. From the tremendous hope for a new century embodied in the 1900 World’s Fair in Paris to the shattering assassination of a Habsburg archduke in Sarajevo in 1914, historian Philipp Blom chronicles this extraordinary epoch year by year. Prime Ministers and peasants, anarchists and actresses, scientists and psychopaths intermingle on the stage of a new century in this portrait of an opulent, unstable age on the brink of disaster. Beautifully written and replete with deftly told anecdotes, The Vertigo Years brings the wonders, horrors, and fears of the early twentieth century vividly to life. First, could you explain your background for those unfamiliar with you? How did you come to be a writer? I was born in Germany and drawn to history, I suppose, through my love of stories, the layers of the past. 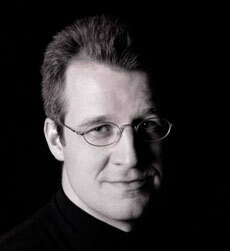 I also lived in several European countries, and so the connections and differences between the countries began to interest me. I finally wound up doing a PhD in Oxford, where I also published my first novel. From there on I went into journalism to finance my first books – and the rest is history, at least as far as my work is concerned. What is your objective with The Vertigo Years? Do you feel the fifteen years before WWI are vital to historians and to people? Does the study of that brief period have relevance to today? The period I call the Vertigo Years, 1900-1914, is often seen as a sort of idyllic Indian summer before the great catastrophe of the War. Many people who were alive back then would be very surprised by this view, which we have imposed on history because we know what came afterwards – the terrible slaughter in the trenches. If you look at the evidence, I think, you can see a great deal of movement and upheaval even before the War, and reading peoples’ letters and diaries or newspapers of the period, the time seems to have been anything but idyllic and restful. There was change everywhere, in every area of life, and that is precisely what I want to convey by looking at the period, as far as that is possible, without seeing it through the prism of the War. Why is this period still so vital? Because it was the foundational moment of our world. Everything that makes up our world today, from globalization to quantum physics, from consumer society to feminism, from democratization to terrorism, was already formulated during this time. Does that have relevance to our time? Of course it does. It is perhaps asking too much for people to “learn from history”, but we can clearly recognize ourselves in the generation of our grandparents and great-grandparents, and in the things that dominated their lives. How did you approach writing The Vertigo Years? What prompted you to write it in a chronological fashion? I think it is important to gain the reader’s trust, to seduce him or her into following me to what I’m getting at, to the point I want to make, which may well be a theoretical one. The vehicle for this is storytelling. The chronological structure simply turned out to be a convenient way of telling stories. Life does not happen in an orderly fashion, it is a chaotic mass of experiences and events, and every structure we impose on it is artificial. Chronological, thematic, subject-based, by country, take your pick, they are just different ways of unraveling a dense and inextricably intertwined ball of facts and perceptions. What sources did you draw from when writing your book? Were there any new discoveries that corrected or elaborated on past histories of the Edwardian era? I tried to use the greatest possible variety of relevant sources. The period is very extensively researched and written about, so there was little point of trawling through statistics and government documents in archives, especially since I wanted to write a history of mentality, not a political history. I did spend some time in archives, and a lot with personal correspondences and newspapers from the time, though. Novels and other works of art are useful sources, too, as they can show you how someone particularly sensitive gave form to a particular experience. Once one has identified such an experience, however, it is important to create a wider picture, to see how many people were affected. Much of what we regard as seminal, avant-garde art today only affected a handful of people, and even Freud’s Interpretation of Dreams sold no more than 300 copies when it was published in 1899, but when we look at popular culture, at best-selling novels and stories in newspapers with large circulation, we get a much better sense of what most people where thinking and feeling. That’s what I’ve tried to do. Did you find much similar today with this period in history? Anything very dissimilar? I can recognize us quite clearly in that time, especially the sense of living with an open, uncertain history in which the only certainty appears to be change. Based on reviews I’ve read, The Vertigo Years strips away the fond memories of the “golden summers” of myth. Did you find anything positive of the pre-WWI era? Was this era a study of deep contrasts, or was it full of gray areas? But why would it not be positive? It was a tremendously creative time, intellectually and artistically the most seminal moment in Europe’s history, all compressed into less than a generation. Industrial development surged ahead, scientists and engineers made huge strides – it just helps to take away the idea of sepia-tinted quaintness and see the time as one as vital and as pulsating as our own. Many histories on the Edwardian era tend to focus on royalties and personalities, such as King Edward VII, as representing the age. Do you find this true? Of course that is true, to some extent. Personalities like Edward VII and Kaiser Wilhelm are representative in many ways, but the fact that so much is written about them may also have something to do with the almost insatiable nostalgia people appear to feel for a time in which, they think, everything was still solid and somehow better, more gentle and more graceful than today. Not so for most people! I am more interested in seeing how whole societies lived. That is never absolutely possible, especially as the most numerous class, the workers and agricultural labourers, are the ones who leave the fewest written documents, certainly of a personal kind. They appear in statistics, but you have to look at the middle classes for a wealth of diaries, letters, novels, etc. The higher you go up the ladder, the more plentiful the documentation. I regard it as a challenge to redress the balance a little, as far as possible. Were the years 1900-1914 a complete break from the manners and mores, fears and doubts, and attitudes of the 19th century, or do you think there was a natural, gradual change that occurred even before the turn of the century? There is never any such thing as a complete break with the past. Even today, we carry with us attitudes, feelings and longings from pre-modern and even pre-civilized days. Things don’t just vanish within a generation and of course change is gradual and uneven, between regions, countries, classes, sexes, generations, and even within individuals. We are always many things at once, but one can observe that the preoccupations of a society appear to change, as do the ways of articulating them and reacting to them. To describe that is, I think, the business of a good historian. Did you think WWI inevitable? No, much against received opinion it certainly was not. There is an idea that war was simply inevitable because of attitudes, colonial policies and the arms race, but would we today (assuming we would have lived) have regarded a Third World War inevitable if the Cuban Missile Crisis of 1962 had led to hostilities between the US and the USSR? There were other international crises before 1914 (think of the two Moroccan crises 1905 and 1911 or the Balkan wars in 1912) which presented much stronger reasons for going to war, but each time, diplomacy prevailed, and it might have prevailed in August 1914, but for the fact that many decision makers were away from the centres of government, on holiday. I am no conspiracy theorist and I do not believe in the Grand Plan that is supposed to have existed all along, and recent research demonstrates that great parts of the population were anything but enthusiastic about the outbreak of war when it finally happens. Lead articles in patriotic newspapers were full of fervour and high rhetoric, but personal letters and diaries are not. If anything, there was a dangerous sense of fatalism, a resigned idea that war would break out at some point, the question was only when. It is true that the empires were competing with each other and that there was a dangerous arms race going on in a very heated-up atmosphere, but the actual decision to go to war was made by no more than a dozen people around Europe. I believe that there might have been a crisis in 1915, another one in 1917 and 1921, and then the nations might simply have moved on. The financial strain on national economies was already colossal, and counter movements such as the Socialists and Social Democrats were gaining force, particularly in Germany and France. So no, nothing is inevitable in history. Lastly, do you feel you have done the period justice with one volume? Were there things you could have added but chose not to? Have I done justice to the period in under 500 pages? Could I have done in 5,000 pages? Certainly not. But I can give a sense, a central idea, an interpretation that might shed new light on familiar things. History needs to be rewritten every generation, and I am part of this process. There is no definitive history, and in a while someone will come along and rewrite the early twentieth century in a different mold.